Finding a good puzzle game these days seems to be really hard. We so much choice, it’s hard to find a game that will offer both excitement and challenge. But with CombiLock we are sure that we have the solution for that. Exciting, thrilling, fun, with a cool graphic, easy to play and excellent background music. This game seems to have the recipe for spending hours and hours playing it on your gaming chair. But it’s not only that. 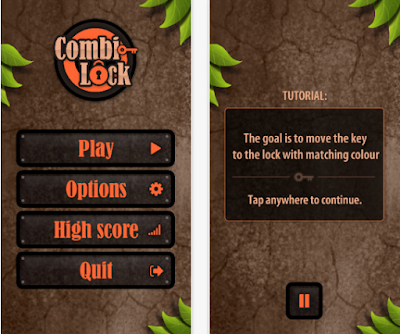 This game will present a great challenge by putting your logic and reasoning skill to the test. So what is the goal in this game? You have to navigate a key out of the “circles” in order to match it with a lock of the same color. Simple, fun, yet if will require your utmost concentration. You will have to stay focused because the difficulty challenge will increase greatly as you progress further through the levels. Excellent puzzle game for any player that wants his thinking abilities to be challenged. Suitable for anyone, regardless the age. If that is not enough to fall in love with this game, there is a bonus, this game is completely free! You can play it anytime you want. Start your endless solving puzzle marathon by downloading this game for free from Google Store.